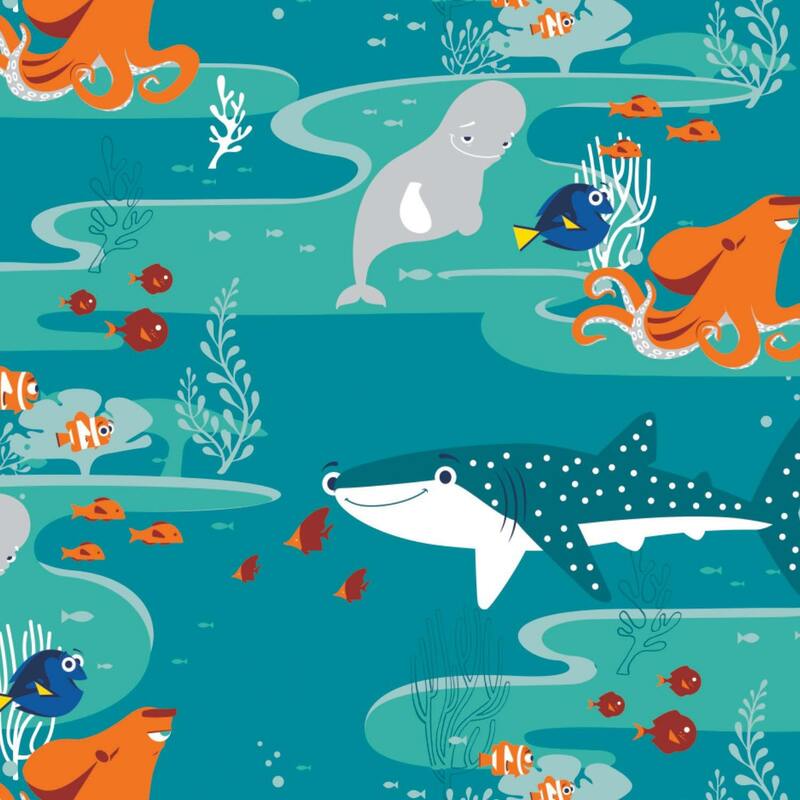 Licensed by Disney to Camelot Fabrics, this cotton print is perfect for quilting, apparel and home décor accents. This is a licensed fabric and not for commercial use. Colors include navy, teal, royal, red, orange, aqua, turquoise, yellow, white and grey. All fabric from The Quilted Nursery Children's Fabric Store is cut directly from the bolt and sold by the yard. If you require specific yardage cut please send us a message and we will be happy to accommodate your request. Same day shipping always! Don't forget to check out our coupon specials! Highlight and click on the link below to receive a free downloadable pattern from Camelot Fabrics. This item was a Christmas present. Quick turnaround on order and was packaged very well.